Psychedelics, neuroscience, and historical biography come together when a journalist finds a lost photograph of Aldous Huxley and uncovers a hidden side of the celebrated author of Brave New World and The Doors of Perception. Allene Symons had no inkling that Aldous Huxley was once a friend of her father's until the summer of 2001 when she discovered a box of her dad's old photographs. For years in the 1940s and '50s, her father had meticulously photographed human hands in the hope of developing a science of predicting human aptitudes and even mental illness. In the box, along with all the other hand images, was one with the name of Aldous Huxley on the back. How was it possible for two such unlikely people to cross paths--her aircraft-engineer father and the famous author? This question sparked a journalist's quest to understand what clearly seemed to be a little-known interest of Aldous Huxley. 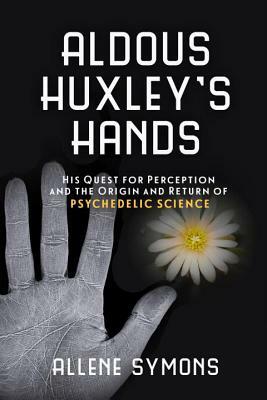 Through interviews, road trips, and family documents, the author reconstructs a time peaking in mid-1950s Los Angeles when Huxley experimented with psychedelic substances, ran afoul of gatekeepers, and advocated responsible use of such hallucinogens to treat mental illness as well as to achieve states of mind called mystical. Because the author's father had studied hundreds of hands, including those of schizophrenics, he was invited into Huxley's research and discussion circle. This intriguing narrative about the early psychedelic era throws new light on one of the 20th-century's foremost intellectuals, showing that his experiments in consciousness presaged pivotal scientific research underway today. Allene Symons is the author of Nostradamus, Vagabond Prophet: A Novel of His Life and Time and an instructor of communications and media studies at Santa Ana College. She previously worked as a senior editor at Publishers Weekly, Drug Store News, and For the Pharmacist magazines and as general manager of Rizzoli International Bookstore in Costa Mesa, California.